I was intrigued by this title of a recent publication about twelve tips for using twitter in medical education. We recently tested twitter as a way of interaction with medical students. Our number of students attending lectures have outgrown the number of places in one lecture room. Since years we us two lecture rooms, one with a video link so students can follow the lecture on screen. For this second lecture room but also for those attending the life lecture we introduced twitter as a way to pose questions. We introduced the twitter account at the start of the semester, via emails and at the lectures. We paused half way of the lecture to read the tweets from the computer screen and at the end of the lecture. The interaction was disappointing. Students don’t need or want twitter for interaction. In this publication the tips start with explanation of twitter and encouragement to start a twitter account as medical educator. The third tip above is a very good one. In the first lecture we had to warn some students who were posing irrelevant question. After some strong words these interfering tweets disappeared.Their next tip is to display live Twitter chat during lectures. We didn’t do this, we figured it would distract the students from the ongoing lecture. Most students use online information. Most of this information is hard to evaluate. 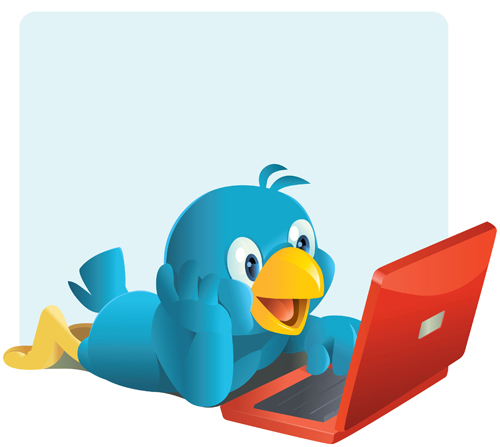 Twitter can be used to credible information or information sources to students. The next tip is to use Twitter to create a ‘real life’ context for students. Links to current media stories that relate to course content may allow students to contextualize course information and improve their learning motivation. Next tip is start a twibe. A twibe is a twitter group. A twibe can give students the opportunity to communicate outside of class. This could stimulate informal learning. Tip 8 is to use twitter for course feedback. This format for course evaluations may have advantages over traditional methods. Students may feel more anonymity without feeling disconnected from the feedback they are giving. Another suggestion is to use twitter for informal quizzes and polls.This offers options for informal quizzing and polls when compared to a show of hands. Questions can be projected on a screen, and students can Tweet their answers.Because Tweets can be anonymous, more students are likely to submit answers. Obviously as also suggested by the authors, the use of twitter in (medical) education should be explored further, most preferably in research. Explanation why starting a project is the most important step in productivity and the best use of time management. Ego depletion, Zeigarnik effect won’t be obscure terms after veiwing this interesting video. 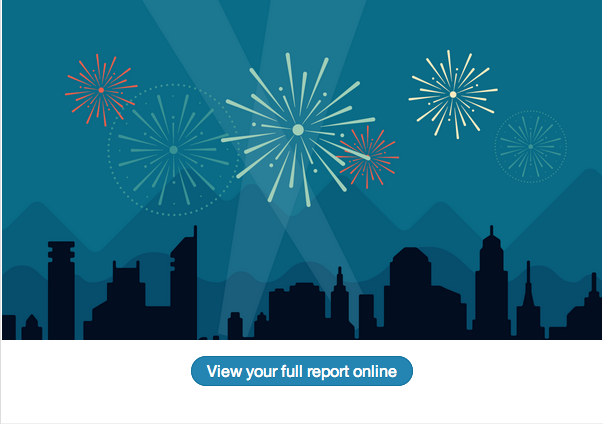 My annual report from 2013 on blogging with this blog. Check it out, just click here. A pep talk from rapper Ietef Vita, aka DJ Cavem, via his music video “Wheat Grass.” Ietef Vita, a.k.a. DJ CAVEM of MOETAVATION crew is a Green For All Class 4 Fellow. Green for All is committed to supporting efforts to fix America’s broken food system. DJ Cavem, as this story on HuffPost Parents explains, started writing and sharing his educational songs in Denver schools as a clever way to help kids beat back diet-related health issues, such as obesity and diabetes. All gynecologists and pediatricians take notice. An excellent interactive simulation game allows people to observe and control the development of the placenta and the potentially fatal condition known as placenta accreta. To run the program you’ll need the Unity web player, which is free and downloads pretty quickly at the link. A team of researchers in Germany conducted functional magnetic resonance imaging of the brains of 30 women. Half of the women had given birth within the previous three to six weeks, and the other half had never given birth. The brains of the women were imaged while they sniffed pajamas worn by newborn babies for the first two days of life. Both groups experienced increased dopaminergic responses, which are critical to the brain’s reward pathways. However, the new mothers experienced a significantly higher activation than the childless women. In this short video you can see some uses of Google Glass by an anesthesiologist. Checking vital sign during operation, taking notes etc. ZDogMD is getting better with each new video. Keep it up bro. At least, that’s the argument Dr. Harry made when he sent me the lyrics to Infect Me. Apparently, he was sitting through yet another one of his kid’s kung fu classes, thinking wistfully of Hannah Montana, when BAM. It hit him like a wrecking ball: zombies + medicine + Miley = ZDoggMD. Problem was, it wasn’t twerking for me.